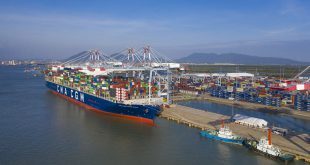 Seeing opportunities in Vietnam’s increasing demand for imported coal, Indonesian firm PT Intra Asia Indonesia is seeking the opportunity to build a coal port in southern Vietnam with a total investment capital sum of $1 billion. On August 23, PT Intra Asia Indonesia signed a memorandum of understanding (MoU) with Hong Phat Coal and Resources Company in connection with its plan to develop a coal port in southern Vietnam, according to newswire Jakarta Post. 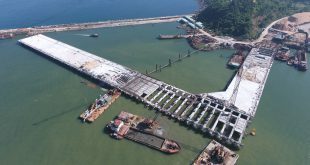 “The port will be mainly used for cargo and logistics that will serve export and import between Indonesia and Vietnam, particularly coal,” said Intra Asia Indonesia commissioner Lutfi Ismail. The port has a designed capacity of 15-20 million tonnes of coal per year and would cut logistics costs for coal imports from Indonesia by a significant margin. The construction of the port would facilitate the sustainability of coal exports from Indonesia to Vietnam and would help fuel power plants in the country. “Indonesia targets to export 4.5 million tonnes of coal to Vietnam this year. We hope that the cooperation will boost Indonesian coal exports to Vietnam,” Lutfi Ismail added. In recent years, coal imports have increased due to the rising demand of domestic thermal power plants. 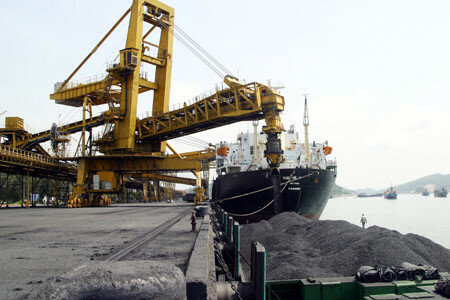 Indonesia is one of the largest coal exporters to Vietnam. According to statistics published by the General Department of Vietnam Customs, in the first seven months of this year, Vietnam imported 7.92 million tonnes of coal worth $801 million, with Electricity of Vietnam (EVN) alone importing five million tonnes. The figure is expected to increase to 11 million tonnes by 2020 and 19 million tonnes by 2025. 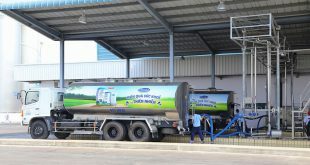 EVN mostly uses imported coal to fuel coal-fired thermal power plants, including Vinh Tan thermal power plant in the southern province of Binh Thuan and Duyen Hai 3 and 4 thermal power plants in the southern province of Tra Vinh, among others. In early August, Deputy Prime Minister Trinh Dinh Dung requested the Ministry of Transport and other relevant authorities to study plans to build a coal port to meet the increasing demand for coal for thermal power plants in the south. According to the national power development plan, there will be seven large-scale thermal power centres in the Mekong Delta, namely Long Phu, Song Hau, Duyen Hai, Bac Lieu, An Giang, Kien Luong, and Tien Giang. The total coal demand of these thermal power centres will reach 43 million tonnes by 2030.